The padel is the discipline of the moment that is taking hold throughout Italy and of course, we could not help but put at your disposal of the fields to try your hand at this fun sport. Seen from a distance it looks like a strange variation of beach tennis sticks. Strange because of the beach, below, is not there. And because you play on a field surrounded by plexiglass. To prove it, it turns out instead because padel – or padel is starting to fascinate Italy too. Fast and immediate, it is a tennis with fewer complications than tennis. A less frenetic outdoor squash. And social: to play, always, in four instead of two. Everyone talks about it, everyone is fascinated and everyone wants to try and play it at least once: it is a fast and engaging game that is attracting more and more sports, a mix of squash, racquetball, and tennis. The rule is never to stop: rhythm, rhythm and still rhythm together with fun but also to the legs, the reflexes, and the grit. How exactly does padel work? You will then have a wall for a friend because even the crystal walls of the ground are part of the field. In fact, the padel also plays on the side and the ball can be hit after it touches the bottom glass and also the two small side panels but not the metal fence. The pitch is smaller than the tennis rectangle, twenty meters by ten, while the points count will be the same. The ball you will use is like that of tennis (but you can also use lighter ones), while the racket is different: smaller, not stringed and flat with holes. The game of padel was born in the 70s in Mexico when a well-known citizen of good society decided to take advantage of the space available in his residence to build a field that allowed to play tennis. However, the available space was smaller than that needed to build a regular tennis court and was furthermore limited on some sides by handiwork structures. That’s why, just in order to be able to achieve the same, a limited playing area was created with respect to the size of a tennis court, completely surrounded by a suitable combination of concrete walls and wire mesh, which had the task of presenting to the ball the exit from the field of play. This particular combination had the undoubted advantage of creating a playing area in which the ball was always moving. Subsequently, the padel spread in Spain and, during the 80s, it became a real sport expanding also in other countries: Argentina, France, USA, and Brazil. 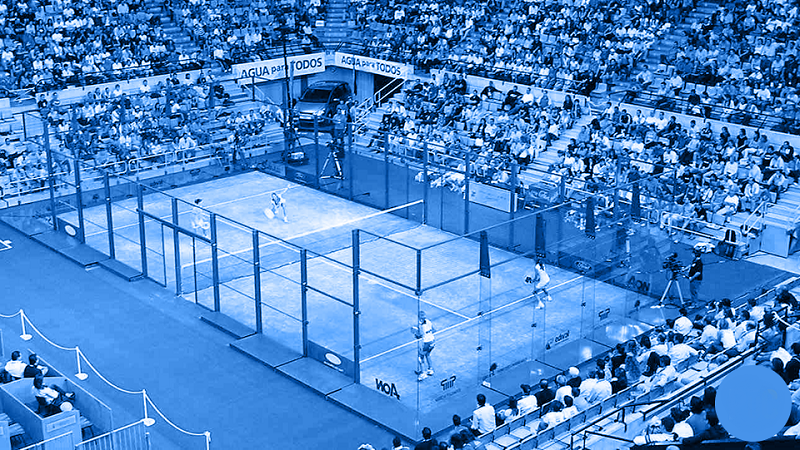 In Italy, the Italian Padel Play Federation (FIGP) was born in February 1991, made up of some amateurs with the aim of promoting a sport in our country, which combines the qualities of Tennis with a greater ease of learning and play and a less waste of space and facilities. Just reflections ready and a little ‘touch and in fact there is a lot of fun. To play with satisfaction, you do not need months of lessons and you can start at any age. This is why Italy is discovering the padel and that we have even come to see the new sport combined with the great window of tennis. Then? Ready to take the field? Tennis: Are Men or Women More Sociable? There’s my “learn something new everyday”, I had never heard of padel before. Do you know a good source to look up the rules to compare to a regular tennis match? Thanks in advance for your time and reply.